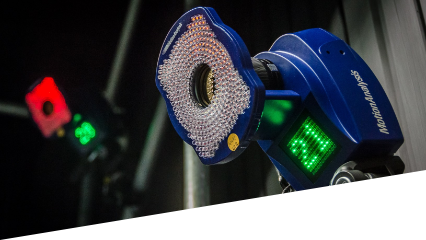 Our Motion Capture lab is a creative space for motion capture production in performance (body) and facial capture. 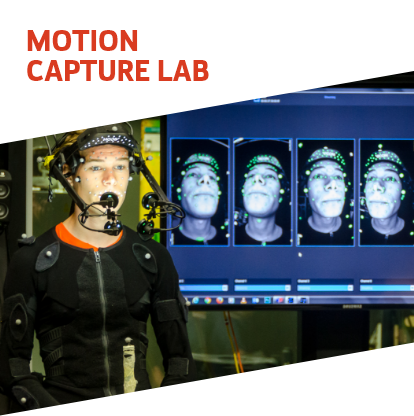 Based at AUT City Campus, we welcome enquiries about how you might use motion capture in your next digital project. 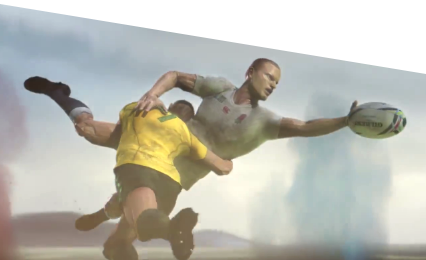 Learn about the equipment and technology we use in our lab with industry clients, students and staff. 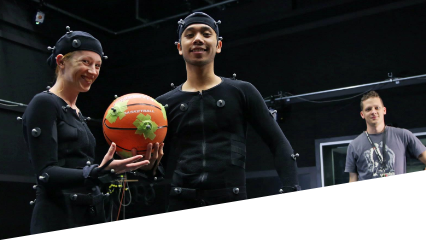 Explore student work, staff research and other creative projects created in our motion capture lab. Contact us to discuss your ideas or make an appointment to use the lab.